Leo Isaac Rutenberg has done a wonderful job covering the events of Day 1 at the 3rd Annual GlobalCongress on IP and the Public Interest here and here. This Little Leo won't attempt to add more on that score, but she does want to discuss one point that was raised during the conference introduction. Public and private interests in intellectual property are not at odds with one another and the best IP policy going forwards will be the result of public sector-private sector partnerships. Little Leo is summarizing of course (and hopefully correctly). This begs the question, where is the private sector? Of the 300-some attendees for this conference, this Little Leo counted 10 institutions on the attendee list that sound like they might be private sector. Two are from the US (Little Leo included), one is from Uganda, one from India, there might have been a South African, and the rest are Nigerian. When this Little Leo attends programs on similar topics arranged by the private sector (or the US government, which seems rather focused on private sector interests), the attendance is similarly lopsided in the opposite way. How do we build a partnership between public and private sectors for the purpose of building an IP policy framework for the future if our conversations are so lopsided? There are many readers of this blog in the public sector. 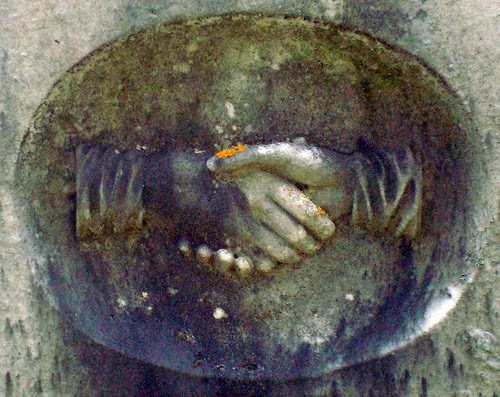 There are many readers of this blog who are in the private sector. And, there are many readers of this blog in attendance at the conference. So this Little Leo's question to the private sector readers who are not in attendance is "why not?" Where you unaware of it? Does it not seem valuable? Budget issues? Don't like Cape Town? This Little Leo has attended a number of public sector and private sector programs in the US, and programs that claim to be linking both but usually just have the same ol' participants talking past each other. She's rather given up hope of real conversations occurring there. But as usual, Africa has so much more potential than the old stalwarts. The deep chasms and clear fight lines have not yet dried in the mud. How do we build the conversations to, as Jeremy de Beer put it yesterday, leapfrog to the IP policies of the future? 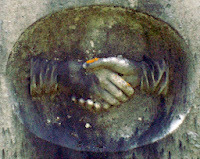 Photo: Handshake CC-BY-ND Sean Svadilfari available on Flickr.